We’re back everyone! 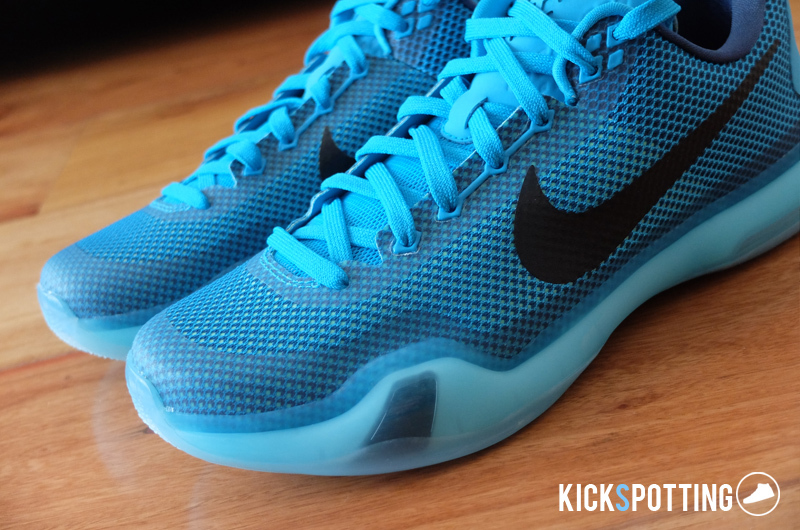 This time we’re going to review the new Kobe X and see what the mamba’s tenth shoe is all about. Nike went simple on the design of this one but we still see a lot of features and tech all around. So let’s get to it! 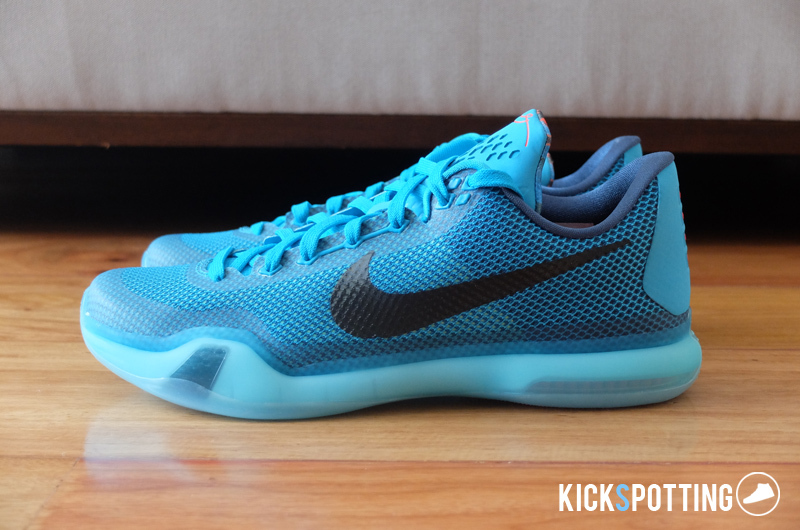 The Kobe X features hybrid cushioning that combines lunarlon in the forefoot and zoom air in the heel. Right off the box it felt really comfortable and soft on the forefoot. I’m not sure if that was the ortho insoles or the lunarlon that I felt. The zoom heel in the back feels really good and provides great impact protection and added stability. I loved how that felt. 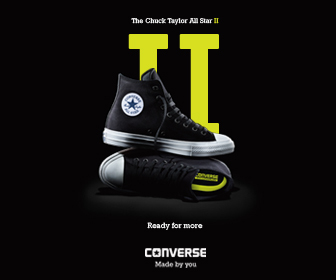 On the court, cushioning was great and it gave you a comfortable ride all the way. If you loved the lunarlon setup from the 8 and 9 then you’ll still love this one. I do feel like the 8 and 9 had a little bit more bounce to it but this still performed really well. No complaints on all my runs. I loved the setup of the zoom in the heel and I felt that it gave me more stable landings and it had the good bounce to it. They fit true to size. Whatever size you got on the 8s and 9s just stick with it. Really loved the fit on this one and it felt like a glove. Lockdown was great as well. From the heel to midfoot and forefoot, everything just felt very well contained. The tongue is well padded so if you want to lace them up tight you won’t have a problem with pain on your ankles. 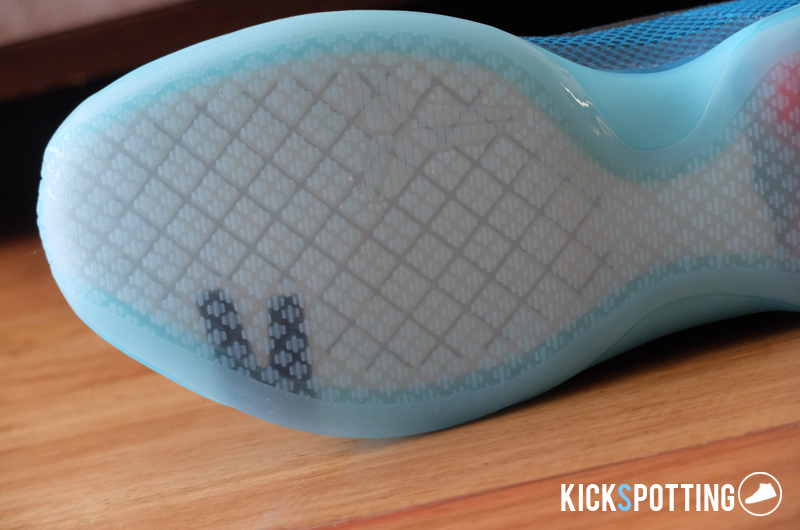 The upper uses what Nike calls a new open weave textile, but it what it really feels like is fuse. Maybe a bit softer but still fuse. Personally I didn’t have any issue of pinching throughout all my runs and I didn’t experience any problem breaking them in. But, you will see some awkward folding along the forefoot area and it could cause some pain if the material folds inward towards your foot. Luckily mine would fold outward so it didn’t really dig into my foot. Just something to note. Other than that I think the fit is one of the best features here. 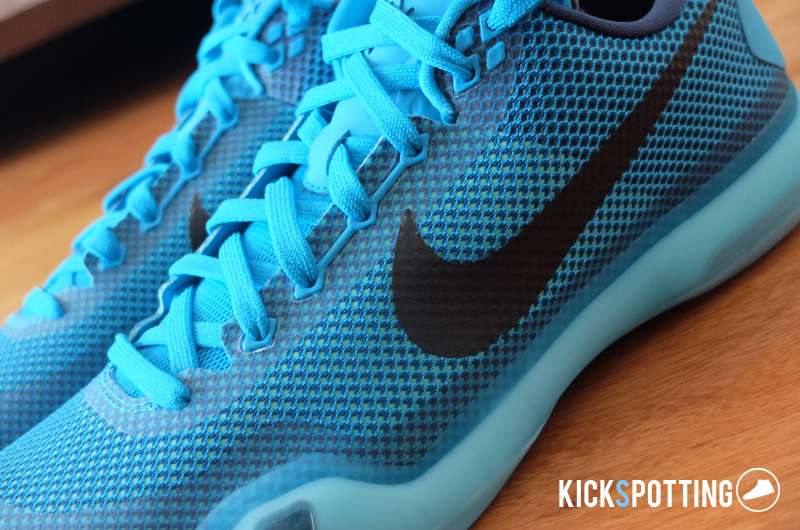 Coming from mesh the past 2 models, I was hoping they would still stay with the same type of material for the Kobe X. The open weave material on the upper just feels like fuse which does add more structure and support overall, but could take a little time to break in for others. It’s not restrictive but personally I just love mesh materials more. And like I mentioned above it could give you some awkward folding up front and may cause some pinching on your foot. Be sure to try them on first to see what size is perfect for you. Nothing really bad overall with the materials but it’s nothing groundbreaking as well. Some love the structure that fuse provides and some just love mesh uppers more. 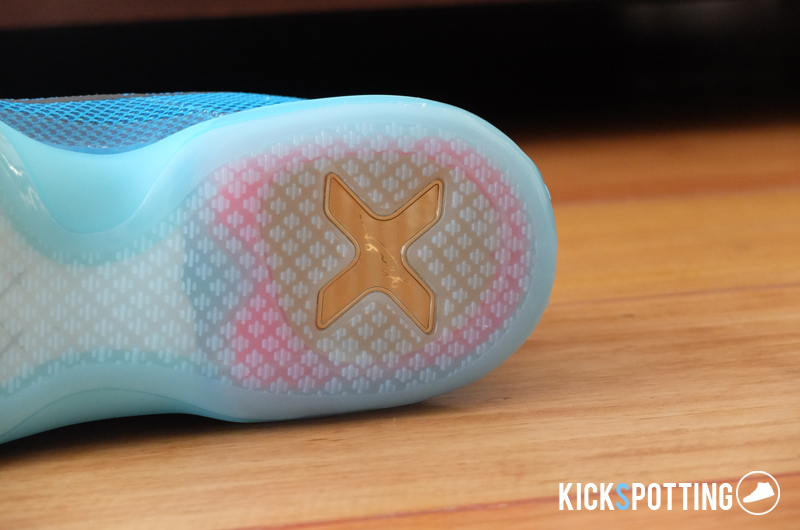 The Kobe X features a new kind of traction pattern and material. 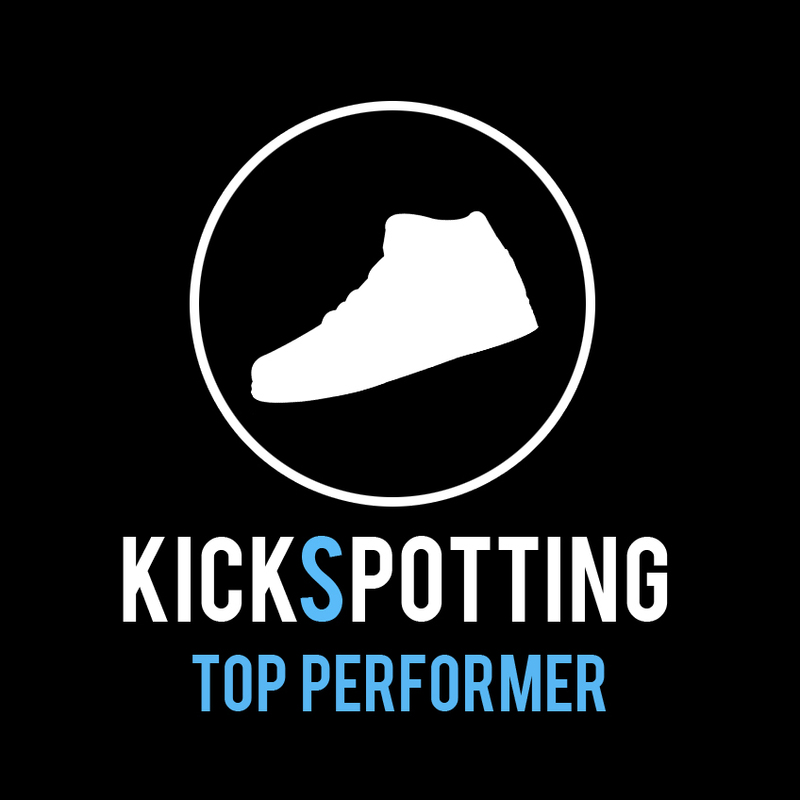 Nike calls it their most effective traction system to date and it features tiny nodules similar to the threads of race car tires that grip the floor really well. On clean courts you’ll feel that grip right away and they perform great. I’ve tried them on not so clean courts as well and they still did a good job. Minimal wiping needed and didn’t really feel any sliding and slipping. On outdoor courts I don’t think this is your best option because the rubber is thin and could easily burn out. Other than that, it’s great traction all the way. 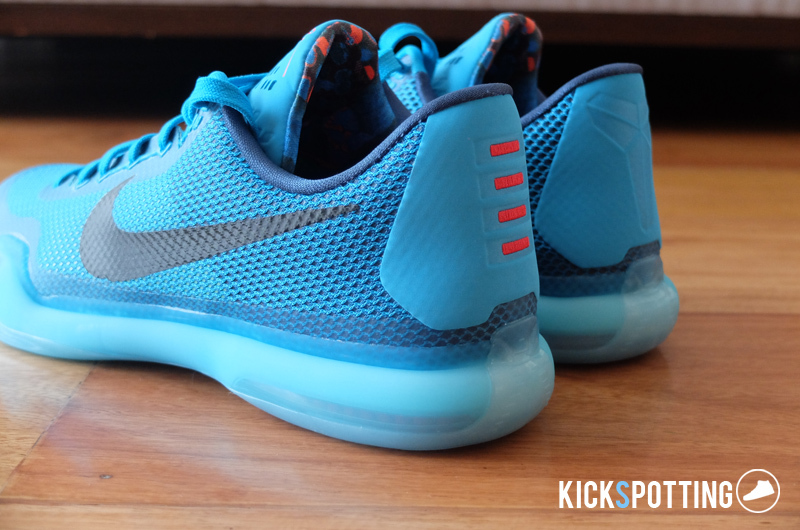 You get lots of support with the Kobe X and I always felt secure during my runs. 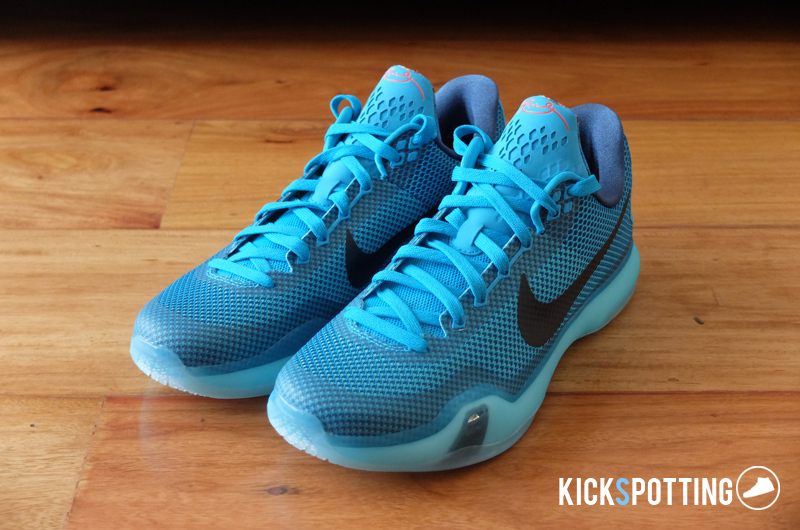 The heel counter and the midfoot area really keeps your foot locked in at all times and that’s all you really want. The fuse upper adds structure in keeping your foot in place but it doesn’t restrict movement. 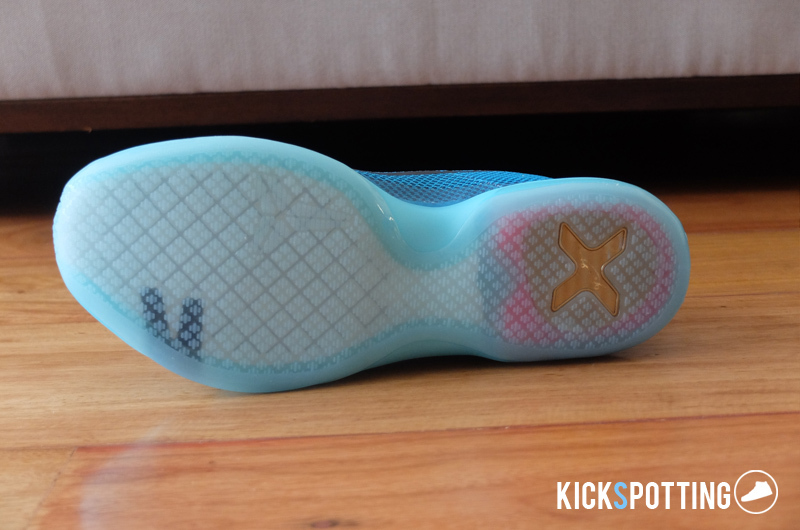 The zoom on the heel plus the see-thru rubber casing on the outsole adds stability which I really loved on this shoe. I always felt that I got solid footing and landed correctly which is something that I liked a lot especially when hooping in a low top shoe. 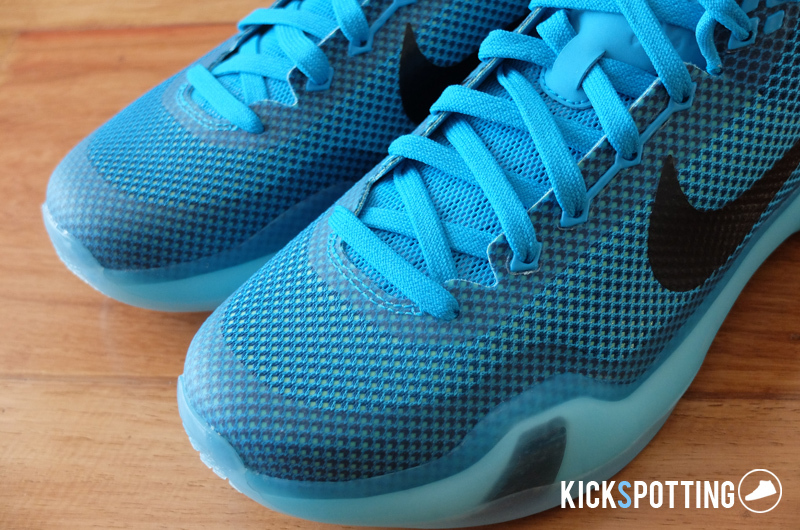 Overall, the Kobe X is a solid performer. Is it the best Kobe yet? Maybe not, but it has a lot of features that you’ll love. A major drawback I think is the price. At P10,495, it’s not for everyone and there are other options that can give you similar benefits at a lower cost. But if you’re really set on getting a pair I think you won’t be disappointed. It has great traction, awesome fit and cushioning plus lots of support. You might experience a little break in time but you should be fine after a few runs in them. You can purchase a pair at Toby’s Sports and other Nike retailers around the metro for P10,495 as previously mentioned. 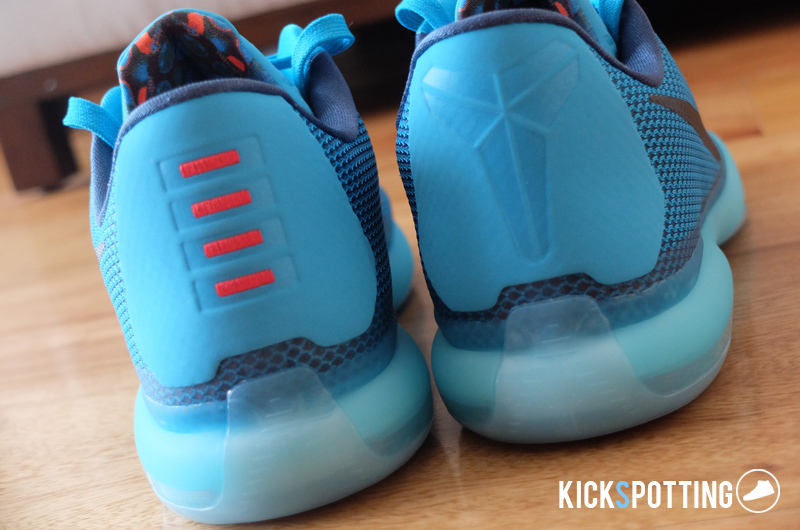 Still a solid performer from the Kobe line with added support and stability. 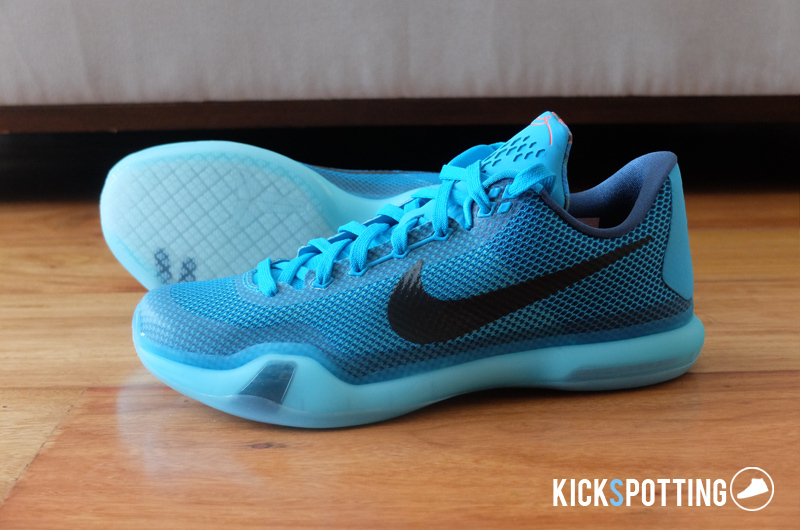 Hi sirs… my true shoe size is size 10. mainly all of my shoes is size 10… with the this kobe’s… well i am planning to have a drill sergeant kobe x which is a flyknit, but the size of it is 10.5. Do you think my feet will fit properly in that size? For me I could go with my true size or half size up. Both are fine I think.